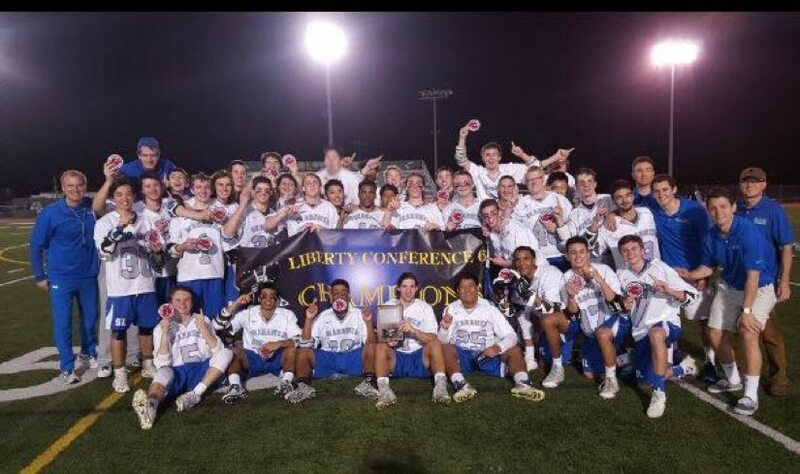 The South Lakes boys lacrosse team continued its run through the post season with a 15-7 victory over Stonewall Jackson in the Virginia 6A Northern Region tournament at Herndon High School Tuesday. It was the Seahawks 13th straight victory. The only defeat for the 14-1 team this season was March 31 (a 12-6 loss to Stone Bridge). The Seahawks defeated Yorktown 8-5 last week for its first ever Liberty Conference title. The Seahawks move on to play Centreville (11-5) Thursday night at South Lakes, 7 p.m.
Read more about the team’s turnround from last year’s 5-7 squad in this Washington Post story.